In a lonesome, scraggly drawl, Ben Arsenault sings songs about the road he’s travelled and the characters he’s spent time with along the way. Drawing on experiences from relationships of which he’s had the pleasure and pain of sharing, Ben’s songwriting takes a laid-back look into the conundrum that is human existence. 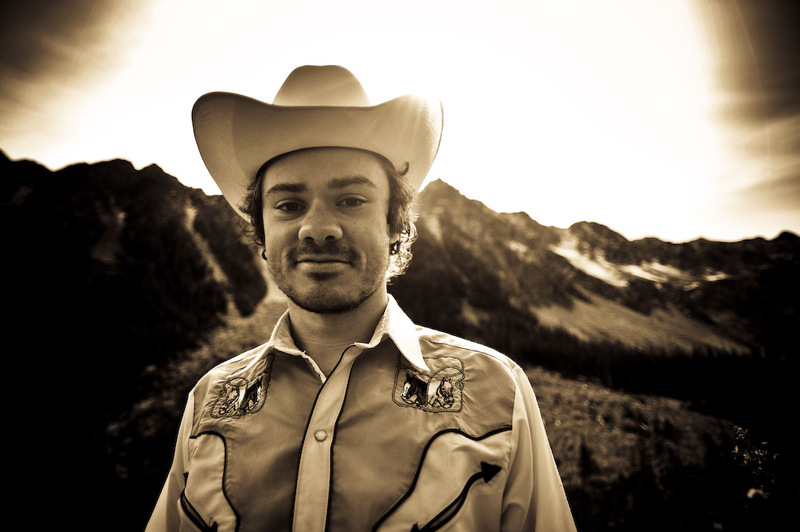 Inspired by the wild mountains and waters of his BC home, and all the open country from Canada to Mexico, his music makes a good driving companion as you’re going down the road. His self-titled debut solo album, featuring Ben on acoustic guitar, harmonica and vocals, is a tribute to the likes of Townes Van Zandt, Merle Haggard and all the great singer/songwriters of country music. From his days in Montreal, QC, where he formed and fronted the country-rock band Martyr & Pistol, to his recent return to the west coast where he has been gigging as a solo artist and with his alt-country/jam band Real Ponchos, Ben has spent countless nights entertaining in bars, cafes and music halls. With his intimate and relaxed style he has built a faithful following and is always eager to share his songs and stories to folks out looking for a good time on Canada’s music scene. Born and raised in Vancouver, BC, Ben first became interested in country music as a kid when his Dad would listen to Hank Williams on weekends while making breakfast. At 13 he picked up a guitar and began his idolization of Jerry Garcia. Upon learning that Jerry started as a bluegrass musician, Ben began singing and playing bluegrass. He followed the call to Montreal, QC where he was a regular at the Barfly’s Sunday Bluegrass and Old Time Country jam. With a couple of pals from the Barfly jam he formed and fronted the country-rock band Martyr & Pistol, which played around the Montreal bars for several years with artists like Lil’ Andy and Yonder Hill. Now back on the west coast, Ben gigs with his alt-country/jam band Real Ponchos and is pursuing a solo career in traditional, roots based country music. He has recently recorded a solo album with Victoria pedal steel guitarist Marc Jenkins and all around music man Blake Enemark. This collection of tunes, featuring Ben on acoustic guitar, harmonica and voice, tells of the trials and tribulations of human existence and is a tribute to the great singer/songwriters of country music. A second album is in the works for a release in the late summer/early fall.